Designed for the carriage of most hazardous chemical products. A stainless barrel and modern safety features, with fully compliant legislation make this a very versatile option. Specifically designed for the carriage of bitumen and similar type products. A highly finished tanker, with hygiene at the heart of its design, which is suitable for food grade products. A simple specification of tanker that is designed for the bulk carriage of milk products. 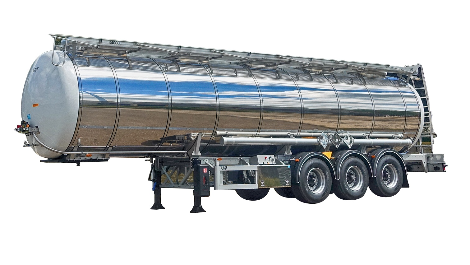 A rigid or articulated tanker that is built specifically for the purpose of visiting difficult to reach farms to collect milk products.